President Trump declared that tariffs are “the greatest” on Tuesday, just as his administration prepares to give $12 billion in emergency aid to farmers targeted by global retaliation to his trade policies. But the agriculture export market is so large that even $12 billion will only delay the inevitable: deep, long-term damage to the U.S. agricultural sector. The big picture: The model for U.S. agriculture business is based on export markets. For producers of soybeans, corn, pork and myriad other products, the retaliatory actions by some of our biggest purchasers in China, Canada, Mexico and the EU mean the end of that model. Over half of all American agricultural products are exported, so alienating foreign purchasers results in severe damage to the businesses making those exports. The Trump administration's tariffs will lead to large reductions in employment, profitability and even viability of U.S. producers, just as severe drought, climate change and low commodity prices are already complicating farmers' lives. Though not certain, the Department of Agriculture will likely disburse the $12 billion by providing some direct payments to affected farmers and ranchers and having the federal government purchase distressed commodities. But this is a short-term fix and does not deal with the potentially long-term loss of certain markets. The president and cabinet are authorized to provide up to $30 billion in bailout money without congressional approval. Unless Republican leaders in Congress can persuade President Trump to revise his trade policies, farmers' businesses will have to rely on rescue funds until they run out. 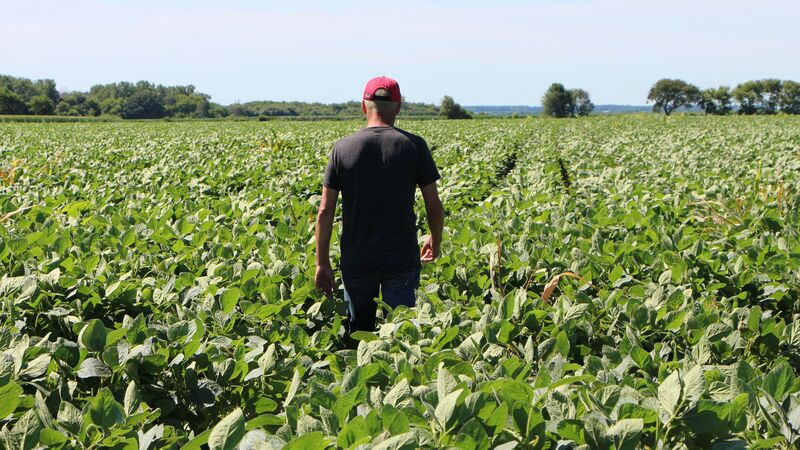 The bottom line: Farmers will appreciate the assistance, as many of them made business decisions well before the president announced his tariff policy. But instead of offsetting the long-term impacts of severe trade restrictions, this windfall will only postpone the serious economic consequences to U.S. agriculture and the farm economy. Dan Glickman is a former Secretary of Agriculture, Congressman from Kansas and founding chair of the Foundation for Food and Agriculture Research.